^ a b Goldsbury, Ryan m. fl.. (December 2010), «The ACS Survey of Galactic Globular Clusters. X. New Determinations of Centers for 65 Clusters», The Astronomical Journal 140 (6): 1830–1837, arXiv:1008.2755, Bibcode 2010AJ....140.1830G, DOI:10.1088/0004-6256/140/6/1830. ^ Shapley, Harlow; Sawyer, Helen B. (August 1927), «A Classification of Globular Clusters», Harvard College Observatory Bulletin 849 (849): 11–14, Bibcode 1927BHarO.849...11S. ^ Boyles, J. m. fl.. (November 2011), «Young Radio Pulsars in Galactic Globular Clusters», The Astrophysical Journal 742 (1): 51, arXiv:1108.4402, Bibcode 2011ApJ...742...51B, DOI:10.1088/0004-637X/742/1/51. Gray, Meghan. 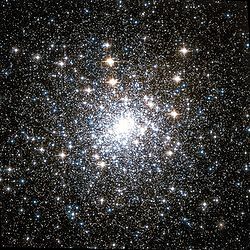 «M30 – Globular Cluster». Deep Sky Videos. Brady Haran. Denne siden ble sist redigert 14. apr. 2016 kl. 17:38.